A rising star of the film industry currently working on the new Jurassic World: Fallen Kingdom film is set to attend the opening of a major new exhibition at the Yorkshire Museum later this month. Umar Hussain has worked on some of the biggest Disney films of recent years, including Star Wars: The Last Jedi, Peter Pan, Guardians of the Galaxy and Teenage Mutant Ninja Turtles. His current position is Visual Effects Line Producer on the latest Jurassic World film set for release on June 7. Before then Umar, who grew up in Yorkshire, will be attending the preview of Yorkshire’s Jurassic World on March 23, which is being officially opened by Sir David Attenborough. “We are delighted that Umar is able to join us for the opening of Yorkshire’s Jurassic World. We are looking forward to showing him the internationally significant collections and new technology which is allowing visitors to experience in new ways the Jurassic worlds that existed right here in what we now call Yorkshire. 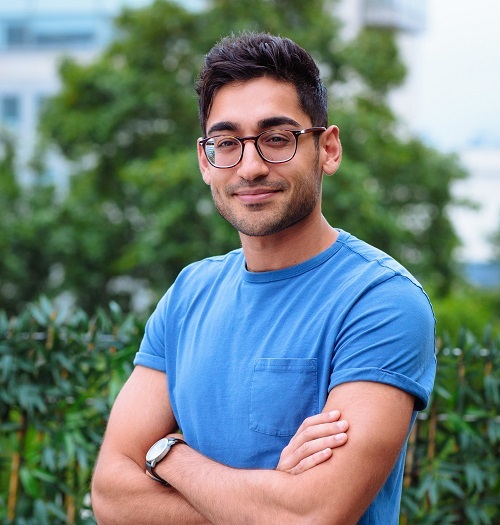 Umar, 25, originally from Calverley, Leeds, has had a meteoric rise through the film industry. Within four years he progressed from an intern to his current position, attending film premieres and working on some of the biggest film franchises in the world. Umar is now based in London, but regularly visits family in Yorkshire. He will be attending the preview with his father, Zulfi Hussain, a businessman who lives in Leeds. The Eboracum Roman Festival will take place on 1-2 June this year.